She professed faith in Christ and was a member of Meadowview Baptist Church. Phyllis was a retired CNA and Medical Technician. She united in marriage to Romey Reynolds, Sr. June 12, 1954 and he preceded her in death August 26, 2005. 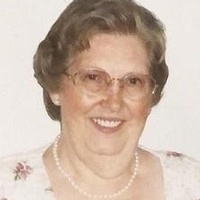 She is survived by one son and four daughters: Romey Reynolds, Jr. and wife, Tina of Ft. Thomas, Celia Pendleton of Campbellsville, Ann Seaton and Carrie Hahn and husband, Ricky of Bloomfield and Elaine Mings and husband, Jim of Zelienople, Pennsylvania; ten grandchildren: Donald Martin, Katie Seaton, Carole Webb and husband, Paul, Sarah Hart and husband, Stephen, Nathan Pendleton, Katie Hahn Jury and husband, Joseph, Jonathan Hahn and wife, Keely, Samantha Reynolds, Megan Reynolds and Romey Addison Reynolds, III; seven great-grandchildren: Ellia Hart, Mia Hart, Koen Jury, Jon Webb and wife, Willow, Austin Webb, Max Webb and Eli Martin; two brothers and two sisters: J. C. Richerson and wife, Faye and Max Richerson and wife, Neva and Janie Schick of Campbellsville and Frances Seifert of Louisville; special caregiver, Mildred Cook of Cox's Creek; several nieces and nephews and many other friends and relatives.